According to the latest report from reliable sources, iOS 8 users are currently complaining about problems with Wi-Fi and battery life of the devices running the latest version of Apple’s mobile operating system. In particular, a number of iPad Air, iPad mini with Retina display and iPhone 5s owners as well as those who have recently purchased the iPhone 6 and 6 Plus complain that they experience difficulties in connecting to Wi-Fi network. Moreover, the battery of the devices running iOS 8 drains incredibly quickly. As with any new iOS update, users have been reporting several bugs in the operating system, with some of the more prevalent complaints pointing towards slow Wi-Fi speeds and problems with battery life. People having the same troubles have even created several threads on the Apple support forum. Let’s hope this will help Apple find the reason for the problem and fix it as soon as possible. Have you upgraded to iOS 8? If so, do you have any problems with your device? 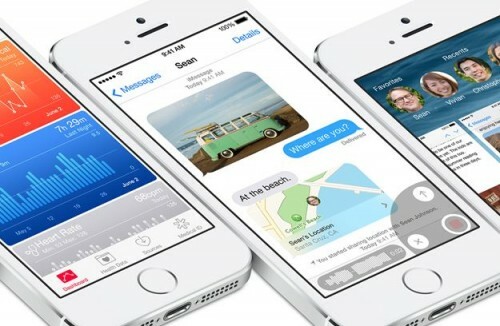 iphone 4s после перехода на ios 8 батарея садиться просто на глазах. если вы еще не першли на новую ось подождите!! !